GIS is to mapping/records management what AutoCAD was back in the ‘70s to the engineering sector. Before, it was scaled templates, drafting tables, and mechanical pencils that produced drawings and designs. CAD was introduced, and the rest, as they say, is history. 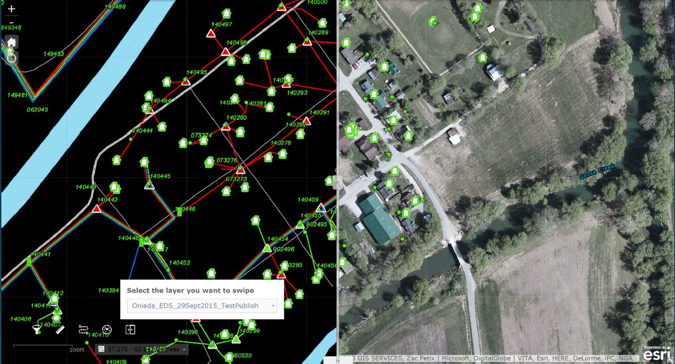 Today, GIS technology allows you to collaborate in real-time from a smart phone, tablet, or computers without the need to huddle around a crowded conference room table. 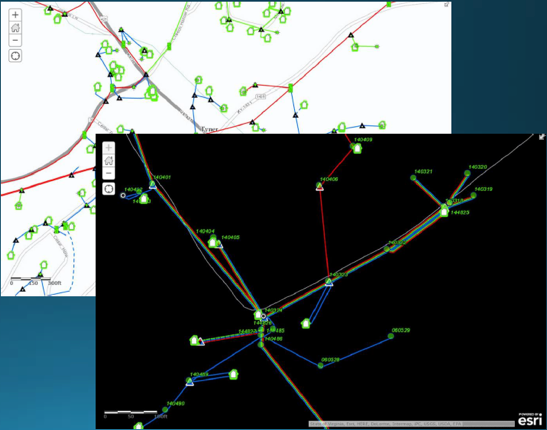 A platform that was easy to build, deploy, and maintain by GIS users with various level of experience. A platform that was easily accessible by different departments within their workforce. A scalable platform that could grow as JEC grew with little or no support. 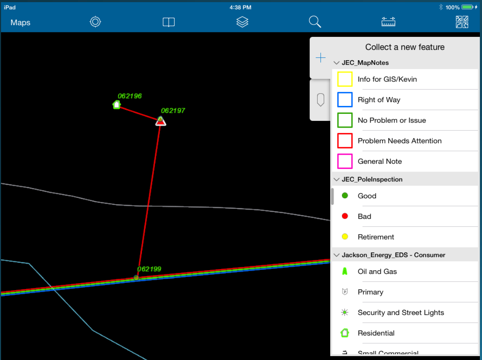 Our GIS Team started to work at finding solutions that would meet JEC’s core requirements. As an ESRI Business Partner, it was a no-brainer. We started digging into ArcGIS Online (AGOL) and how we could implement their solution. This was an easy setup which we deployed in two phases. Creating the AGOL for Jackson Energy and setting up Internal Groups, defining User Roles and Permissions. Developing Inspection Tool Templates using the Collector App. Creating content for field use. 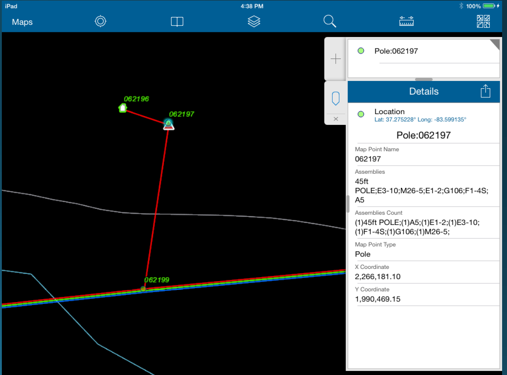 Utilizing and testing ESRI Collector app for iPads and other mobile devices. Once these systems were in place, it was easy to set up the integration between JEC’s accounting and analysis software. Today, JEC is growing and expanding their 52,000-member system. Moreover, they have been able to streamline their processes by utilizing AGOL. So why a web GIS Strategy? Data can be accessed by any computer, tablet or smart phone with an internet or cellular connection. Web based GIS applications are secure and safe. ESRI is used by many different organizations and entities that require extreme security. Multiple seats of software are not needed. Accessing the data is by simple log-in. It reduces redundancy with much of the work flow that is currently being done. It’s simple to train and use. If you are interested in learning more about implementing a web-based GIS strategy and what options are available, please get in touch.